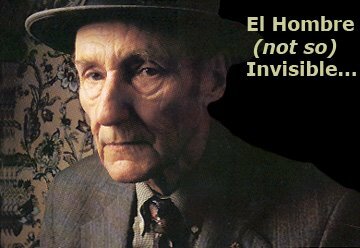 Let's listen to some doom metal for a change. 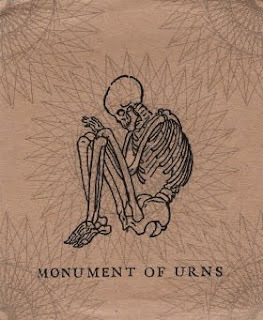 I have put together in one link the whole Monument Of Urns discography : one 3'' CDr a year from 2005 to 2008, nothing in 2009, and a regular CDr in 2010 (just because the 29 minutes of music wouldn't fit on a 3'' CDr, I suppose). Each time you've got the same deal : one long track, gorgeously macabre packaging, and splendid drone/doom/experimental/whatever music. I have come to wait impatiently for their yearly release. I was crushed when they released none last year. I say 'they' but it's actually 'him', as Dan seems to handle this project alone. I would love to hear more, but in a sense, it's better this way: it's a change from the releasing frenzy of some. Buy their releases, they're worth every penny. I bought Cruelty from Aquarius Records in 2007, amazed at the number of 'o' they'd put in 'dooooooooo....ooom' in their review of it, after listening to the first two downloaded from a blog, and I've been hooked since. I sincerely hope you'll do the same after this post.